Welcome to Foodie Friday Link Party 66. We are so glad to have you. I hope you all had a wonderful Thanksgiving. We traveled to Tennessee and had the chance to see family. It was a wonderful trip. Both of my parents are from Tennessee and we all know how to eat. We had such wonderful food and my family sure knows how to cook. 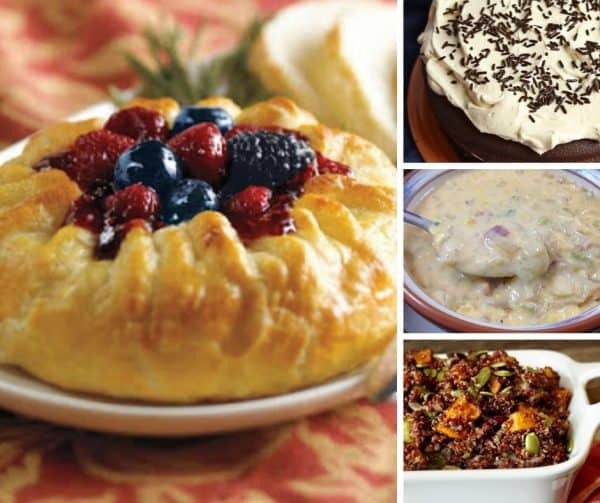 We have some great recipes this week from bloggers all over the country. And, once you check out the featured recipes, be sure to scroll down and see many more recipes to choose from. You really can’t help but fall in love with brie. 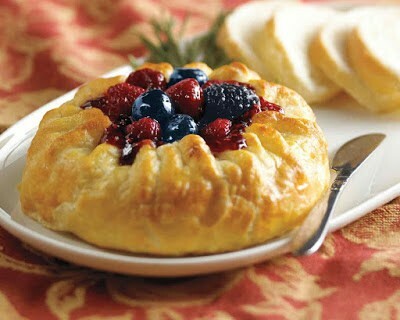 But, adding puff pastry, berries, and pecans or walnuts takes this to a whole new level. Y’all are gonna love this stuffing. 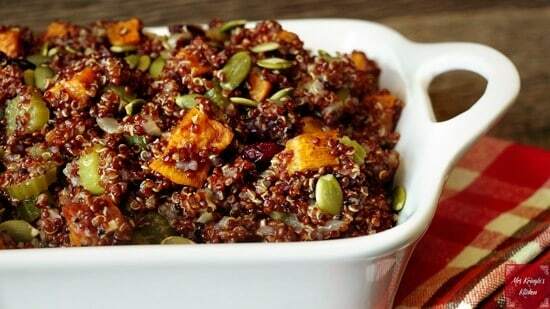 It’s full of roasted sweet potatoes, onion, celery, quinoa, and plenty of delicious seasonings. The dish also features plenty of protein-packed chicken bone broth. 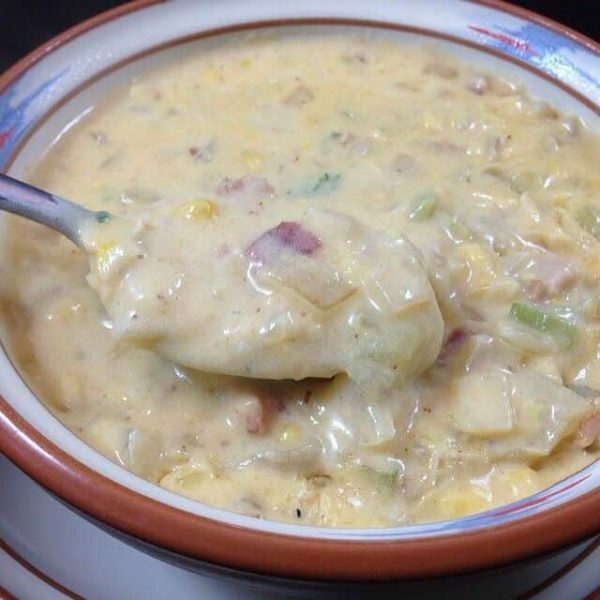 It’s been pretty chilly here in Florida the past few days, so this would make a great soup to come home to. Lots of goodness with potatoes, ham, carrots, cheese, and so much more. 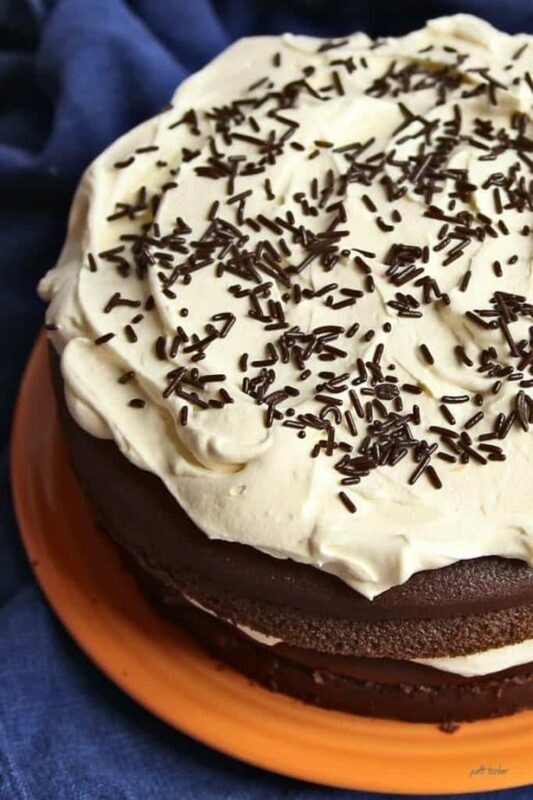 If y’all love hacks, y’all will love this cake recipe. Pick your favorite boxed cake and make it great. Mrs. Tucker has some great ways to spice things up. Check it out! How to Hack A Boxed Cake Mix from Oh Mrs. Tucker! Thanks for joining us and sharing at Foodie Friday Link Party 66! I’m so glad that you enjoyed your Thanksgiving. It is wonderful to be with family. Thank you for hosting the party. It really is. Thanks for coming!